-What other Motor Parkway structure is in the aerial? Congrats to Joseph, Mitch, Wayne, Frank, Brian and Eric who correctly identified the aerial. Eric has also provided a Google Earth aerial matching the Mystery Foto. Google Earth aerial submitted by Eric Baudo. Northern State Parkway under construction. It took a couple of minutes. Asking for “other” structers helped give it away. Top is Wheatley Hills Golf Club. LIMP comes south over HIllside Ave, and under Jericho Tpke. 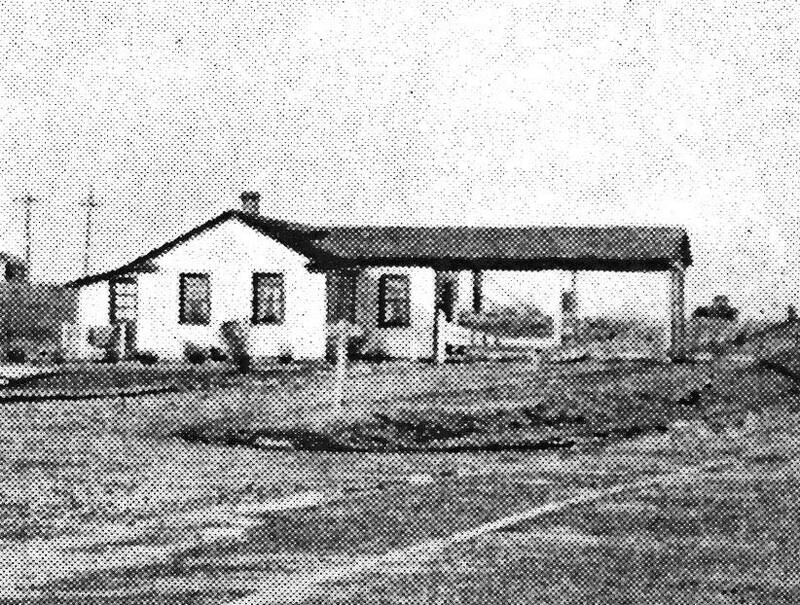 The Mineola toll lodge looks small. Is it still a kiosk? I don’t know what’s more fun, being the ‘stumper’, or being the ‘stumpee’!! 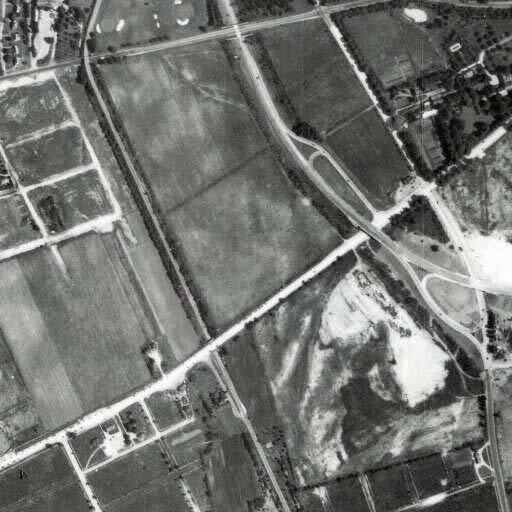 What I especially love in this 1938 aerial is seeing the just built Northern State. There’s not even a Meadowbrook Pkwy yet. It’s interesting to note the differences between the entrance/exit ramp at the Mineola lodge and the new, ‘modern’ ramps of the NSP. Also, on the Westbound NSP, it appears there was also an exit ramp right onto Jericho Tpke at what is only an entrance ramp today. There’s also a different perspective of Guinea Woods Road from last week’s blog entry. If I could get this, it can’t be hard: I say it’s the East Williston/Mineola area. The “modern” interchanges are the Northern State and Jericho Turnpike and Glen Cove Road. The golf course at the top/north is Wheatley Hills. I see two bridges, but, alas, I can’t discern another Parkway structure, although I’ll guess it’s a tollhouse that I just don’t see. Hillside Ave Bridge, Jericho Ave HW bridge and the Mineola Lodge. The Northern State PW is just to the East where it connects to the Meadowbrook PW. Good one Greg. Had me going for a while, jumping from Suffolk to Queens and back, to finally land in Mineola. o_O This aerial shows the LIMP exiting Wheatley Hills golf on top and going over the Hillside Ave ( E Williston Ave ) pkwy bridge. The two sand traps on the furthest right are still there today! The Jerico Tpke (as once spelled) hwy bridge is located further south. I don’t see the kiosk at the top of the entrance ramp heading towards the Mineola Lodge so this photo was taken after 1921 when the kiosk was removed. Mr. Scheuer must be inside the lodge waiting very patiently for the next limper to enter down the ramp. I see the black porte-cochere covering the entrance ramp to the LIMP. Being that the parkway smoothly dipped under white Jericho Tpke, limpers probably accelerated downhill to just make it up on the other side, and for an extra burst of fresh country air. Guinea Woods Rd is to the right, running North-South and parallel to the LIMP. Can’t see the white picket fence under those trees either. Admiring all this open land, this area would be unrecognizable today. 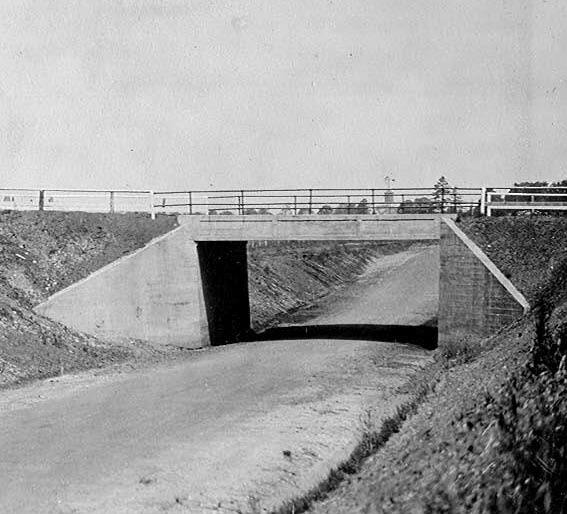 With the NSP in place just south of Objector’s Bend, this pic had to be taken on or after 1934. 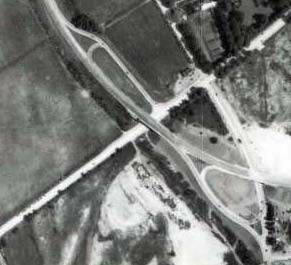 This mid 1930’s aerial is viewed north. The LIMP is left of the aerial, with the Mineola Lodge south of the Jericho Tpke bridge. 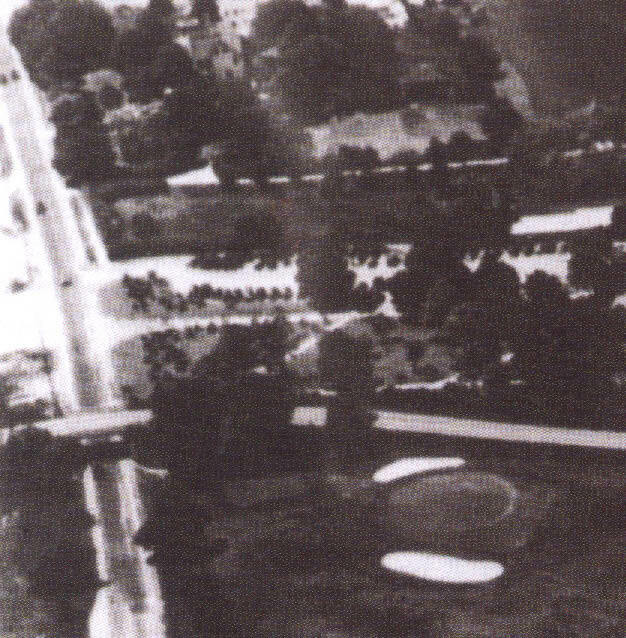 The next bridge north is at Hillside Ave, and then you see the turn into Wheatley Golf Club.The developing Northern St Pkwy is in the middle of the aerial, and Glen Cove Rd is to the right of the aerial. 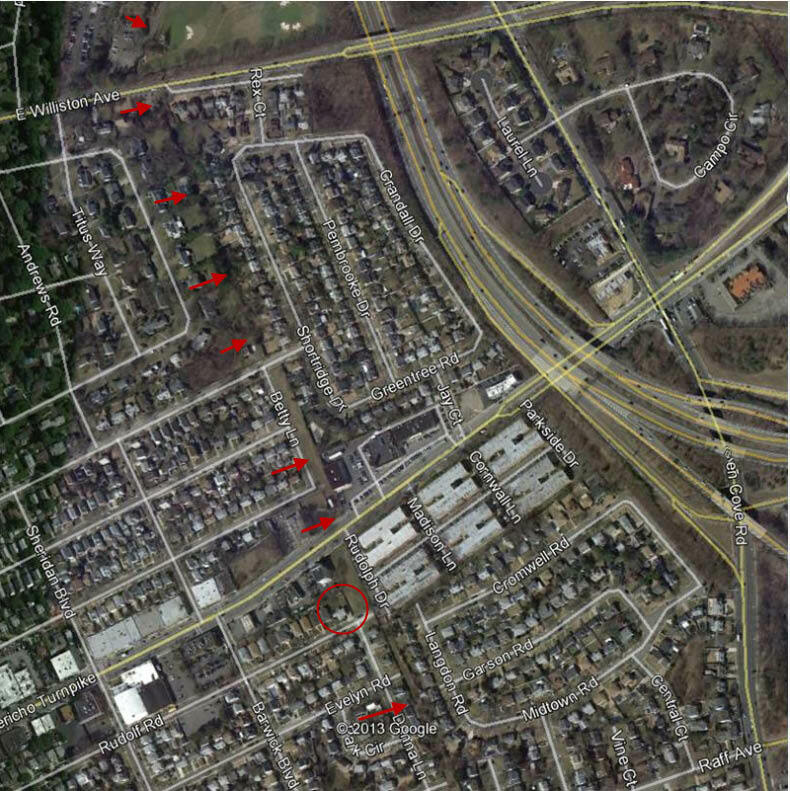 You can see a portion of Westbury Ave at the bottom of the aerial. This one had me going too, Frank. Where’s the fun of it , if it’s not challenging? I’m always ready for a mystery photo that might be in a offset direction. I first thought that was the case here. I don’t know how you guys do it ,but your great with the answers and find out more about the mystery,which makes it more interesting for me,that I lived in areas and still do where the races were and the LIMP was right there and I didn’t even know it and now can find it and help preserve it.This was in Bayside Queens and now Plainview. Funny you say that Brian- I thought about that after I had submitted it to Howard. I would have liked to turn it 90 degrees to try and throw people off. There’s very few places where the LIMP has a North-South orientation and thought turning it would have added an extra layer of difficulty since most aerials are always Northwards. Agreed Brian. I believe that the angle this photo was taken made it difficult at first and so the connection wasn’t quickly made. That’s a good mystery photo. 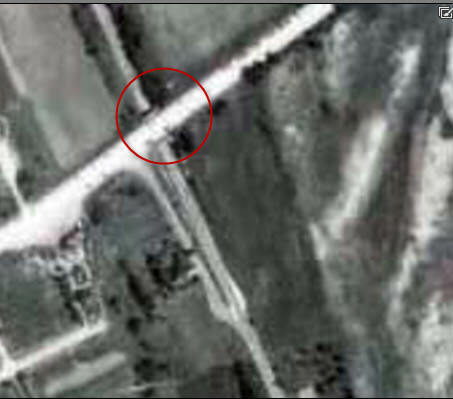 Eric had a great idea of answering the mystery with a recent Google Earth snapshot and then cleverly angled it just like the mystery foto. It almost looks like the reconnaissance plane was about to take a nose dive into Mineola. :o .
Ted, it appears everywhere you move you’re right next to the limp. You must have a magnetic attraction to the roadway, always keeping you nearby. I’m glad you’re still my neighbor. :D I’m in Valley Stream. Happy 4th everyone.